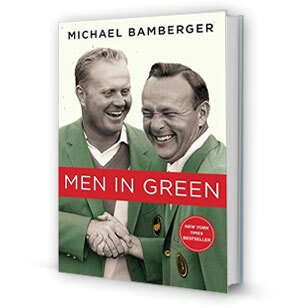 The instant New York Times bestseller from acclaimed Sports Illustrated writer Michael Bamberger--a warm, nostalgic, intimately reported account of golf's greatest generation, and 'maybe the best golf book I have ever read' (Bill Reynolds, The Providence Journal). Bamberger, who has covered the game for twenty years at Sports Illustrated, shows us the big names as we've never seen them before; Arnold Palmer, Jack Nicklaus, Tom Watson, Curtis Strange, Fred Couples--and the late Ken Venturi. Written by acclaimed Sports Illustrated writer Michael Bamberger. "A nostalgic visit and reminiscence with those who fashioned golf history." --Golf Digest.